So, what Bolivia ejecting McDonalds a blow against capitalism, or was it capitalism in action? Stephanie Garlow wrote for Global Post 1 November 2011, McDonald’s failure in Bolivia: The country closed its stores and left Bolivia in 2002. Why couldn't it succeed there? It's the country that turned its back on McDonald's. The fast food giant added the traditional llajwa sauce to its classic patties, but still Bolivians weren't conviced. 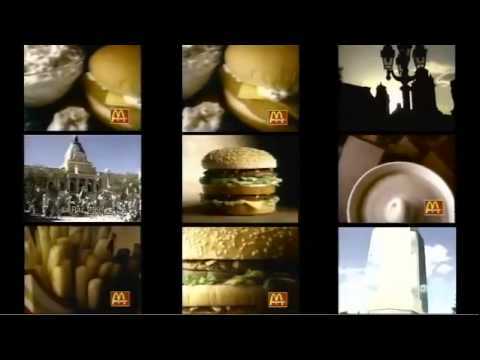 So after five years, McDonald's closed its eight branches and left the country in 2002. Now a new documentary, "¿Por qué quebró McDonald's en Bolivia? ", explores why McDonald's failed. Filmmaker Fernando Martinez focuses on social and cultural aspects to explain the company's lack of success. "Culture beat a transnational, globalized world," he said. Here's the movie trailer. Yes, it's in Spanish, but I think you'll get the general idea from the pictures without needing to follow the dialog. Or here's another version with even less dialog and some English subtitles. A company offers a product. The company leaves the market. End of story. Does this sound vaguely familiar? That's because it is the most ordinary and mundane occurrence in a market economy. While you're reading this, several pubs in London are closing, even though there won't be a documentary celebrating the people who brought down the mighty pub. Yeah, good try. Ejecting one of the world's most pervasive transnational companies from and entire country is not quite the same as a few pubs closing in one city. But of course iea is right that it's capitalism in action. Yet iea neglects to mention that in most countries (maybe in Bolivia, too) McDs is supported by the corporate press (many ads, few truthful stories), and the press is overly consolidated (5 companies own most of it in the U.S.), which makes pulling off a customer feat like that quite difficult. Also, note iea's keyword. It's not "capitalism". It's "consumers". The only purpose of consumers is to eat what producers like McDs sell them. Customers, on the other hand, are actual people who have motivations other than buying cheap and convenient. So, both spins are right, I think. Yes, it was capitalism in action. Not academic capitalism in which consumers act only according to narrow rational and efficient concerns. Not Chicago School privatize and globalize everything crony capitalism. Real capitalism with real people, customers, not consumers. And the customers voted at the checkout and ejected mighty McDs from their country.